Joseph Mallozzi interviews David Weber , author of the Honor Harington books, including the upcoming Storm from the Shadows. Mike Brotherton interviews David Coe, author of The Horsemen’s Gambit. John Scalzi and Mary Robinette Kowal were both featured at a Borderland Books event. Salzi shares some video from the event. Jeff VanderMeer offers an essay on Ambergris: Building a Fantastical City. 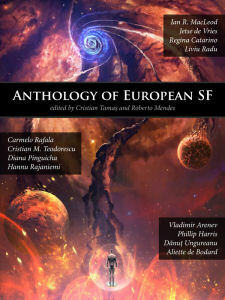 The sf magazine Escape Velocity is celebrating BSFA award nominations by offering free .pdf files of their first three issues for a limited time. @Afterburn SF: “Time Tracker” by G. Miki Hayden. 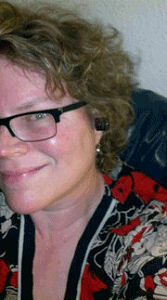 Audio Fiction:@Dunesteef: “Creature Of The Sea” by Lisa A. Koosis. The April issue of Apex Magazine will be guest-edited by award-winning author Michael A. Burstein, author of the collection I Remember the Future. One for the nerd inside of all of us: AMC’s Future of Classic blog lists Famous Cinematic Nerds.